A 1-day retreat to reignite your Manifesting Power! is about emerging from your winter shell, shaking off the cold weather and reconnecting to that bright, light and joyful part of YOU. It's about embodying all that you wish to be, all that you wish to create, so that you can feel more motivated, energised and inspired. It's about coming together as women and supporting each other on our journey. Because, it's always easier with friends! Your body is tired, restless and just feels blurrgh! I hear you! With our nourishing program for the day, your body will feel both energised and relaxed and loved up to the max! Plus you can choose to join us and treat your body to a soak in the Peninsula Hot Springs afterwards. You really need some time out for yourself to focus on what you want in your life! I get it! That's why this retreat has a specific program that is designed to nourish your body, mind and spirit AND fire up your energy to manifest your dreams and desires, through the process of intentional embodiment. You've got a case of the Winter Blues and are feeling unmotivated! Don't worry - I have a fix for that! Through our heart-warming activities plus plenty of laughter and the presence of good company, you'll be shaking off those winter blues and stepping back into your sparkle with renewed energy and motivation. You're just a bit... well... bored and you feel flat! What better way to cure that than a day retreat meeting new people, moving your body and relaxing it with some yummy self-care! You will leave this retreat feeling rejuvenated and with some tools to keep you sane and on path, through the winter! Plus you have the option to join us for a remedial soak at the Peninsula Hot Springs after the event. Well to put it simply, this day is the perfect way to shed that winter heaviness and lethargy, reenergise your body, mind and soul and truly connect to your desires! If you are guilty of neglecting your self-care and are feeling a little burnt out, then you have to be here! You'll leave feeling rebalanced, inspired, supported and thoroughly loved-up. Plus you will gain the priceless tool of embodiment, to support the manifesting of your dreams! And what better way to do that than with a group of like-minded women to share the day with? As you stand smiling from ear to ear, you feel warmth & positivity radiating from your body... you feel energised but relaxed and you're so glad you came. Your body is vibrating with so much positive energy and you recall literally feeling what it was to be the powerful woman on purpose that you desire to be. And dam it felt good! That feeling of overwhelm and that heavy feeling, you had before you came, seems to have disappeared. That dancing must have let some stuff go! 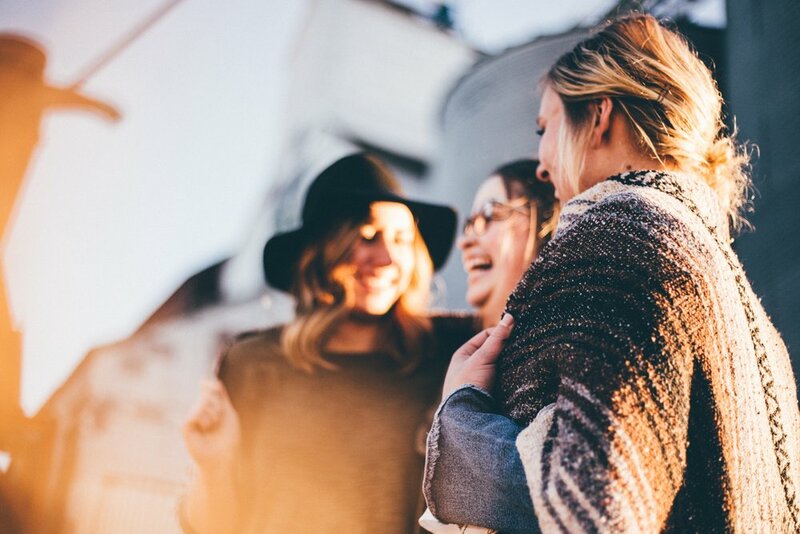 You smile even more as you recollect the inspiring conversations and the instant connections you felt today with these powerful, women. Oh! And the laughter! It feels so good to laugh SO much! You haven't felt this good, this clear, in a long time. You savour this moment with one more full, breath before opening your eyes slowly. You look around at the circle of women you are in and feel the flowing energy of your collective desires manifesting. You look at them once strangers and now friends. while simultaneously supporting your self-care, keeping you motivated, inspired and high energy, 24/7. and this will happen naturally as we go through the day. Spark the Fire Within, is a safe space to just BE. You will get a chance to rekindle (or fire up!) that love and gratitude for yourself, be warmed from the inside out, have a big laugh and share your experience with the rest of the gorgeous women who attend. Get me out of my hibernation! I'm In! plus laughter & real conversation, are just a few of the delights that I would love to share with you on this day! Through dance and movement, guided self-massage, relaxation, sharing circles and fun partner activities, plus time out to foster organic and authentic conversation, you will learn the technique of embodiment and leave feeling energised, inspired, supported and like you are back to 'the real you'. Embodiment is a tangible form of an idea, expression or feeling and THIS is what we will be doing during the program of nourishing activities in the Spark the Fire Within retreat. Learn how to actually make your desires and wishes tangible through the process of embodiment. AND BONUS, during the learning of embodiment, you will also be taking care of yourself! Positive embodiment, means having a positive experience with and in your body! This is self-care WITH INTENTION TO TRANSFORM & MANIFEST VIA EMBODIMENT! Ps. don't worry if you don't have any dance experience - you don't need it, you will naturally get it! And if you are still feeling nervous, just rest assured that I am an expert at getting you comfortable to move and dance, the way you were born to! What will I get out of my day retreat? You'll take home new knowledge and tools to make sure that you can keep your vibrant energy alive when you leave for the day! A special gift to take home, from me to you! A chance to continue your connections by joining us after at the Peninsula Hot Springs for a soak and debrief. This is not included in your day retreat price, but can be purchased through us - just select the 'add on' at registration. An opportunity to get personalised guidance through 1:1 coaching with me. This is not included in your day retreat price, but can be discussed on the day - I will be doing a special offer on my 1:1 coaching prices on this day too! How does feeling revitalised, refreshed & relaxed sound like? And feeling like your life (and your path to your dreams) is back on track? Would that make this day worth it? First and foremost this day is about learning to communicate with your body, to learn the process of embodiment so you can manifest your desires and dreams through your energetic and physical body! The bonus is, that this involves self-care, which which so many women who are on purpose, fail to do! The day's program has been carefully thought out to provide you with nurturing and light-hearted activities, to get you out of the funk and into the dynamic manifesting powerhouse that you are! Secondly, this is also a day to make authentic connections with other like-minded women. There are generous break times allotted to provide plenty of time to connect with the women around you. You can think of this as a 'natural networking' event. It's not that dress up, bring- your -best -self, make- your- pitch, flash- your- business- card type of event. Spark the Fire Within is all about doing things that organically bring us together and making real connections without agenda. You will leave with a few tricks up your sleeve to maintain your good feels long after your leave and you will have learnt an embodiment process to juice up your manifesting power. You will also have a sister-hood of women who are just like you -women with passion, purpose and heart! I want you to walk out of this day feeling clear, full of energy, motivated, light, relaxed and all loved up! This sounds amazing! Sign me up! Any extra food and drink that you may require that is not listed already. We start bright and early at 8:00am and will finish at 4:30pm, plus there is an option to come and soak at the Peninsula Hot Springs after the day has ended. So why not make it a long weekend? 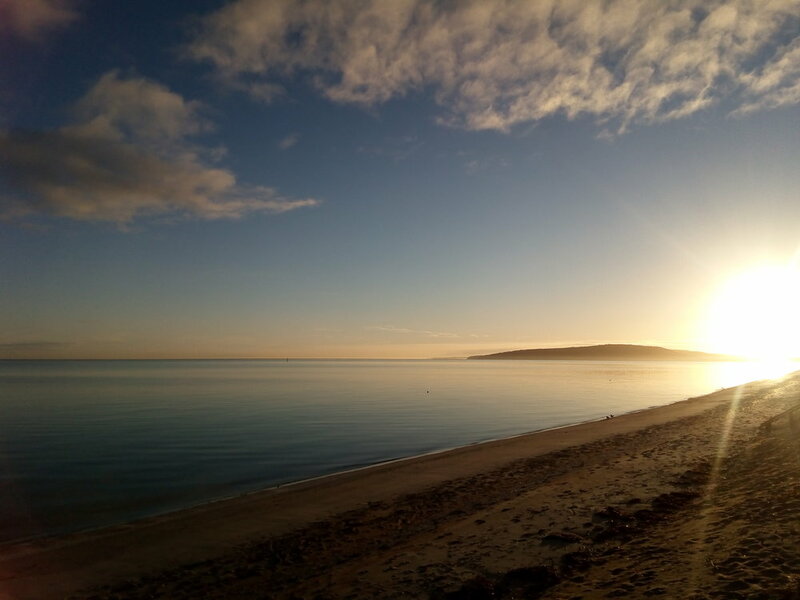 There are plenty of beautiful accommodations available on the Mornington Peninsula! So stay for a night (or two). Check out airbnb for options at any budget! Bring a friend and save $45 each on full price tickets! Pay only $129 each for the full day of goodies! Early Bird tickets (Until Monday August 13th) are $147 per person. Get in early and save $27 on a full price ticket! Full Price tickets are $174 per person. A one hour Nia dance class to up the ratings on your body-love scale and warm up from the inside out! Heart-centred (and fun!) partner exercises to get you connecting and connected! A 75minute guided DisSolve dance session to let go of any stresses or icky, stuck stuff and invite in even more goodness to your life! A mini guided self-massage session to connect to energy and revitalise your body. A soothing guided meditation/relaxation session to calm down the nervous system and go within. Priceless connections, friendships, support and laughter! Nik - I need this! Sign me Up! Nik (or Nicola) loves to move + dance and is passionate about her work empowering purpose-driven women! Nik has worked with hundreds of men and women to have more freedom and happiness in their personal and business lives through her unique embodiment techniques. She whole-heartedly believes that the body can be used to tap into a person's potential and find freedom, happiness and success by embodying empowering beliefs and concepts into the tissues of your physical body and ridding the body of the less-than-useful ideas. 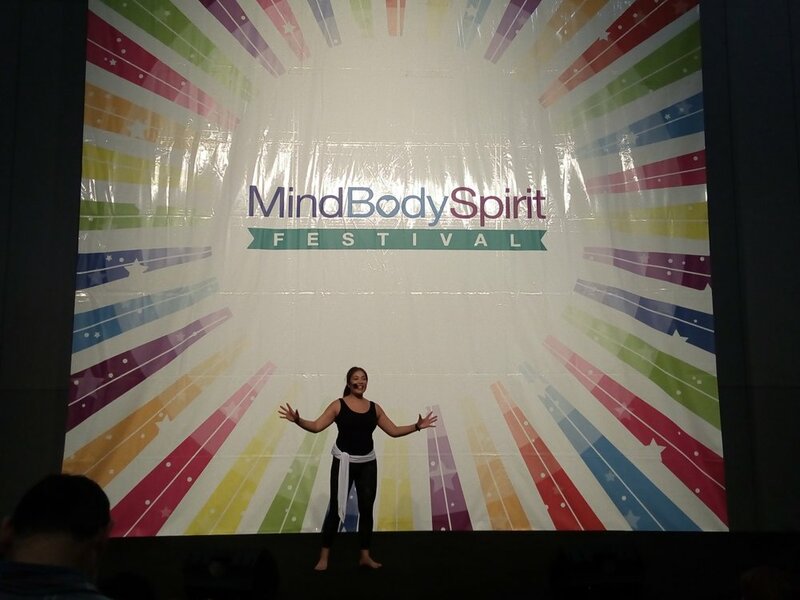 Nik's work as a Life Coach, Conscious Movement Facilitator and Bodyworker, allow her to express her passion to inspire and empower women to not just be comfortable with, but LOVE being in and moving, their fabulous bodies. She strongly believes that self-love and connection is the the key to having success and happiness. In her journey to become more aware, loving and joyful in her own life, she has found the body to be an incredibly generous and venerable sage to better understand and overcome personal challenges and transform them into fuel for growth! Nik is constantly exploring different ways that she can become more self-aware but she always returns to the magic of movement. Her biggest passion is to dance. Through all of her studies of movement so far, dance continues to be the most transformative movement modality she has come across. Dance is both challenging and empowering and lights up the spirit like no other! Nik is a passionate Nia teacher, creator and facilitator of DisSolve Dance, a holistic massage therapist and Confidence & Empowerment Coach for women solopreneurs. Her passion to guide people to dive deep into their (literal) body's of knowledge, compels her to share her transformative work through movement retreats and workshops internationally. Nik delights in witnessing people blooming into the amazing person that they are! She gets excited seeing the unravelling of the old stories and the power of the new ones that people can create for themselves. And she absolutely loves seeing the sparkle return in people's eyes and the joy and light being reignited in people's lives. Thank you! I'll endeavour to answer your question within the next 24 hours. What do you mean by 'Women on Purpose'? Do you mean entrepreneurs? Not necessarily. A woman on purpose is one who knows her big calling in life and is either actively living it, or thinking about going for it. This is not limited to entrepreneurs. Many other women who work for others, or don't work at all are living their purpose - whether it be tackling world hunger or to be an amazing mother -your purpose is unique to you and makes you feel alive! What if I don't have my purpose? Will this retreat help me? We wont be specifically looking at how to find your purpose. However, with the creative environment and safe supportive space, plus the interactions with other women who know their purpose, it is likely that you will have some nudge towards what you are here to do. They do say "you are influenced by the people you hang out with" - are 'women on purpose' people you would like to hang out with? If so, join us! I'm not a female business owner and I'm not exactly living my purpose... but this retreat sounds like what I need. Am I still welcome? Yes everyone is welcome! The prime focus of this day is to give yourself some time out for self-care and to reconnect with yourself. It doesn't matter if you are in business or not, or if you're living your purpose or not. The day will be focussed on giving back to yourself first and connecting on an authentic level. This is by no means a networking event, but a way to genuinely meet like-minded people. The activities that are part of the program are about self-care first and how this radiates out into your life. I can understand your hesitation, but the dances are easy to follow and are a tool to use for us to all loosen up and get back into our real selves and ignite our inner JOY by dancing. As these dances are tools for self-connection, everyone will be focussed on themselves and wont have a chance to look at you - trust me! If you are still unsure, you can look at it this way. Dance is a fantastic way to empower that inner leader and authentic self to come to the foreground. If you are struggling with moving freely, this can be restricting you to move freely in your life (and your business). You can think of dancing as a great way to see where your blocks are and use it to move past them so you can expand in your life (and your business). Please don't let your fear of dancing (or being seen) stop you from coming along! I know that it will be a truly transformative practice for you! I am a purpose-driven entrepreneur - is this a networking event? Yes and no :) . First and foremost this event is about your self-care. As entrepreneurs we can sometimes neglect this part of our life and suffer from unnecessary stress and burnout. The program is designed to naturally connect everyone together. So as you can think of this as 'natural networking' - just like you would do if you were to meet someone who you wanted to be friends with, you would go in with a genuine connection with no agenda. This isn't your typical networking event, where you will be pitching yourself and your top priority is to make business partnerships (although that will likely happen anyway) so please keep that in mind. I have a male friend who would love to come - is he welcome? This day has been specifically designed for women only, so unfortunately he cannot attend. When women come together, there is a special and powerful energy that is generated and this retreat is created to do just that! There may be other events in the future that are mixed so please keep that in mind! A cancellation within a week of the event will not receive a refund. You are welcome to transfer your ticket to another person, if you are unable to make it! The 'event' refers to the Coming Home day Retreat held by Nicola Chung. I state that my participation in the Coming Home day retreat is entirely voluntary and that I undertake any of the activities at my own risk. In consideration of my participation in this program, I hereby release Nicola Chung from any claims, demands and causes of actions as a result of my voluntary participation and enrolment. I fully understand that I may injure myself as result of my enrolment and subsequent participation in this event and I hereby release Nicola Chung from any liability now or in the future for conditions that I may obtain of the body and mind. These conditions may include, but are not limited to, injuries to the body, including but not limited to heart attacks, soft tissue injuries, broken bones, ligament/tendon/fascia injury, or any other illness, including death. I understand that none of the tools and activities and advice given during this retreat day should replace the advice of any professional that I have received in regards to my physical and mental health. I understand that I must be of sound mental and physical health to participate in this retreat. If there is some doubt here, I will obtain a medical certificate to allow my participation in this retreat day. I understand that if I come under the influence of drugs or alcohol or I am abusive verbally, mentally and/or physically towards any participant or Nicola Chung, I will be removed immediately from the event and receive no compensation or access to any tools or materials thereafter.